Celebrate the 2018/19 New Years Eve with a Bang! The Brisbane River is a spectacular back drop for your NYE at Riverlife. Enjoy great food, delicious drinks, fireworks, and a night of entertainment that can’t be missed. Celebrate the 2017/18 New Years Eve with a Bang! 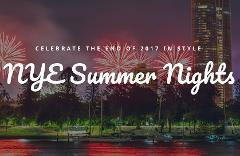 The Brisbane River is a spectacular back drop for your Summer Nights NYE at Riverlife. Enjoy great food, delicious drinks, fireworks, and a night of entertainment that can’t be missed. 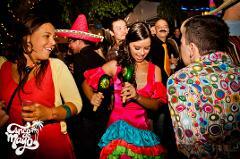 Get your maracas and sombreros ready and prepare your taste buds for salsas and spices, as Cinco de Mayo is back in Brisbane by Riverlife! Five Flavours Festival is back by popular demand! Join us as we aim to settle the debate of beer vs cider!